I have a box, marked Route 66, where I put all the things I shouldn’t forget to pack. There’s not much in it at this moment, just the business cards I had made for this trip and a roll of dollars I still had from my last trip to the States. It will fill in time. Not too much, we need to be keen on the weight Giulia has to carry. 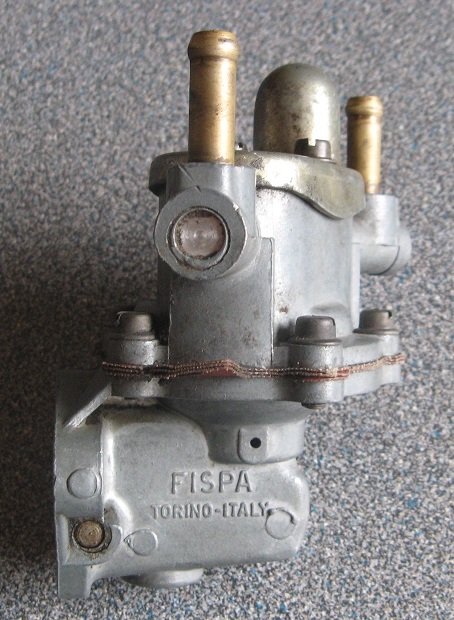 Some items need to cross the Atlantic earlier, like the ‘new’ FISPA fuel pump for Giulia. Well, when Fred has it professionally revised it will certainly look brand new. FISPA pumps are considered to be the best, but some people have their doubts; after market pumps would work better with modern fuel. We can put the replaced pump in the trunk as a spare of course. Oops, extra weight… Fred, the pump is coming your way.